The Fouta Honeycomb plane Cyan, size 100 x 200 cm. 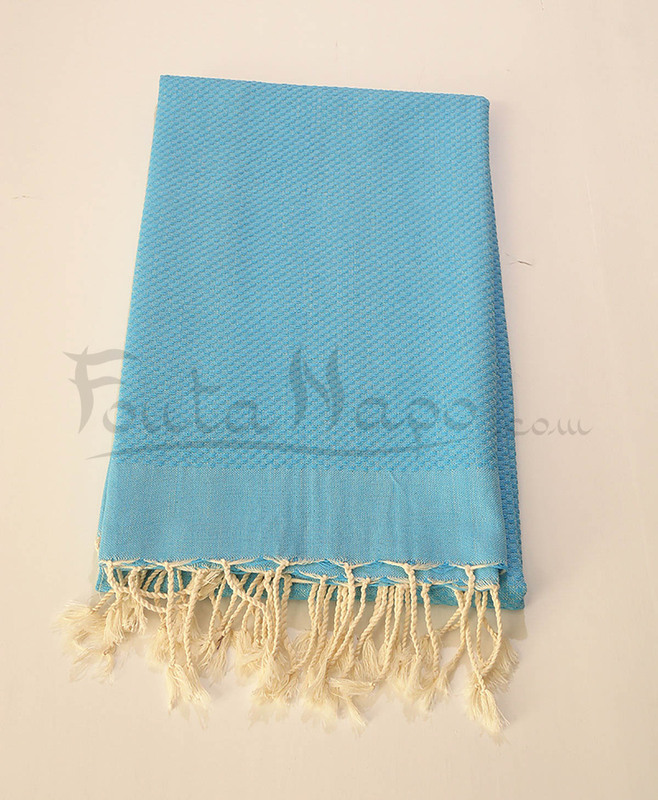 The fouta towel honeycomb plane Cyan, is a modern fouta with differnt uses. 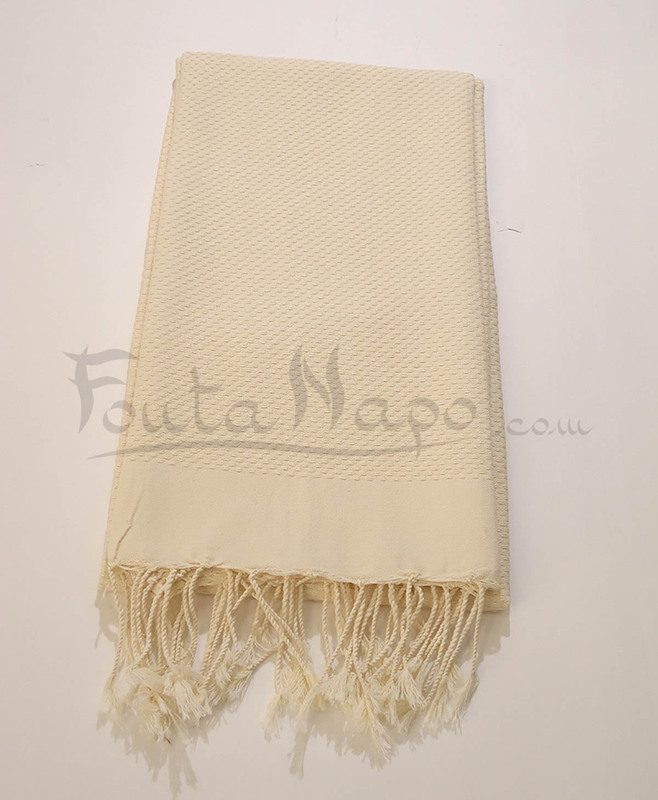 It is entirely handcrafted from the conception to the finishing, the fouta is woven by men on a loom and the fringes are finely hand-knotted by women. 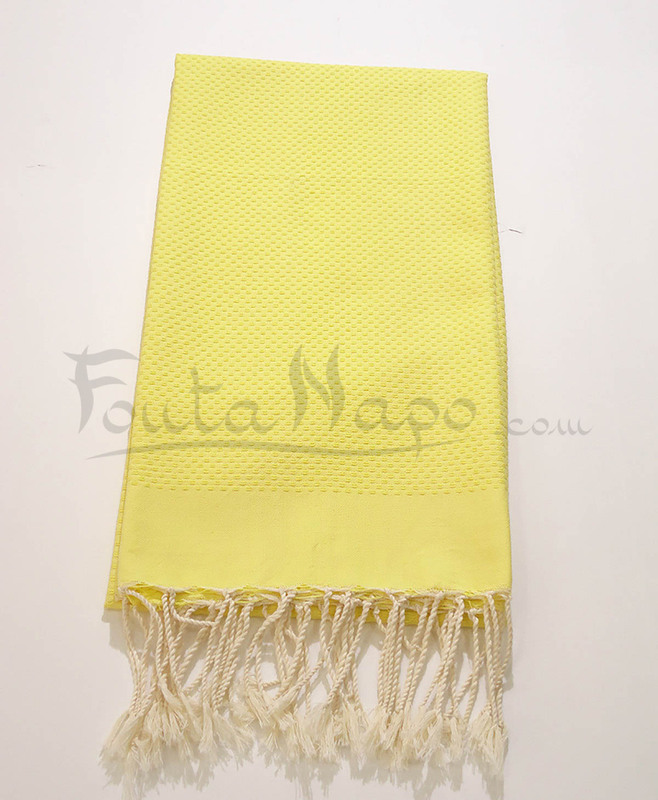 You can use this modern fouta on the beach ,on the pool or at home as tablecloth .